HiBy Music specializes in research, development, and sales of high quality portable audio products. With over 30 professional audio R&D staff and over 10 years of experience in the portable audio field, we have jointly developed dozens of portable digital audio players (DAPs), earphones, USB DACs, and several well known portable audio players, etc. 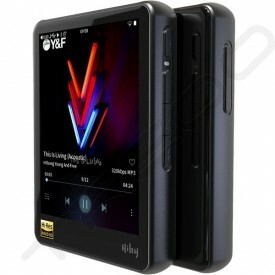 Our own HiByMusic smartphone audio player app also has a user base of 700 thousand users in over 90 countries around the globe and has won accolades from professional users regarding its audio quality. HiBy Music possesses its own IP over the whole audio reproduction chain, including key audio processing algorithms and ability to design its own FPGA-based audio processing chips. 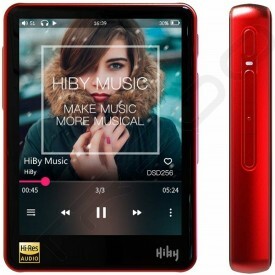 In June 2017, HiBy Music launched its new digital audio player, the R6, under its own brand. With a high-end Qualcomm Snapdragon SoC handling processing duties and dual ESS ES9028 DACs (among other chips and components) handling audio output, it is our goal that the R6 will bring users closer to the fluid flagship smartphone operation while at the same time offering professional DAP-level audio performance. With its base firmly planted in HiFi territory while boldly challenging established boundaries. HiBy Music’s mottos are “Make Music More Musical” and “Ease of Use is Not Optional.” From button-based entry-level DAPs to touch-operated Android DAPs, we will keep bringing out the best products both in terms of operational fluidity and audio quality.